Margaret’s presentation titled “Pregnancy After Loss: The Role of the IBCLC in Supporting Couples and Families” struck a chord on both a personal and professional level with a captivated and emotional audience. This sensitive subject is largely hidden, and requires further open discussion and the silence surrounding this area needs to be unravelled. 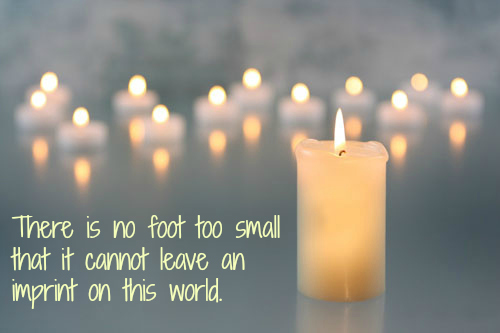 The IBCLC’s role is in supporting families who have experienced infant loss is predominantly one of providing support. According to Margaret, 1 in 4 pregnancies worldwide will end in loss. In Ireland, that means 15,000 miscarriages per year. 1 in 238 pregnancies will end in stillbirth and 1 in 340 will end in neonatal death. Pregnancy loss affects half of all pregnancies over 40 years of age. Ireland sits in the middle of the curve in relation to pregnancy loss, and rates vary favourably within the global context. However, these stats may be skewed as we do not routinely offer screening for life limiting conditions, termination and perinatal centre care or post-mortem is not routinely offered in comparison to our counterparts who routinely offer these to all women attending maternity centres. Interestingly there is no internationally agreed definition, leading to huge variation of what constitutes pregnancy loss. In the Irish context the legislative definition of pregnancy loss includes a child born weighing 500 grammes or more or having a gestational age of 24 weeks showing no sign of life. For the purpose of understanding the statistics perspective, perinatal mortality refers to the death of babies in the weeks before or four weeks after birth. Perinatal mortality includes stillbirths (babies born with no signs of life after 24 weeks of pregnancy or weighing at least 500 grammes) and the deaths of babies within 28 days of being born (National Perinatal Epidemiology Centre, 2013). Causes of pregnancy loss include antepartum conditions, placental conditions, infection, growth restriction, hormonal problems, chromosomal abnormalities, and immune system responses. Margaret spoke about how we collectively need to break the silence. The general population do not know that fully formed babies can die, and there is a general assumption that once babies are viable that pregnancy loss cannot occur.There is not enough research on health care messages in relation to pregnancy loss. According to Margaret, respectful bereavement care means acknowledging parenthood, facilitating attachment between the baby and family and supporting the grieving process and various ways of grieving. So it is important for staff to be educated on pregnancy loss so that they can provide suitable bereavement support. Addressing the baby as a person; name the baby (use the baby’s name consistently), acknowledge the baby’s individual characteristics, and note parental features/sibling resemblance. Acknowledging Parenthood; address parents as mother and father or mummy and daddy…include siblings. Studies support the inclusion of toddlers and outlines that they can cope with meeting the baby and helps in their bereavement and understanding of the process. Providing respectful care to the baby and parents. Acknowledging the trauma that the parents are experiencing. Promoting bonding and meaningful experiences and memory making visits. Supporting families to create mementos eg photos and prints. Ensuring rigorous medical care and investigations. In supporting the grieving process, it is vitally important to let parents share their story over and over again, and to listen and be present without feeling the need to give advice. Hold space for these families, listen, be respectful and avoid rushing them into a grievance process. 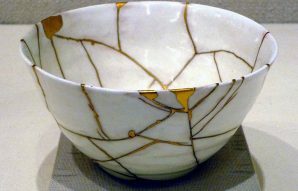 To conclude, the session finished with a few tears shed, a graphic illustration and a depiction of a Japanese bowl and the art of kintsugi, whereby the Japanese repair broken pottery with gold. This kind of repair makes the bowls more valuable. Similarly, the grief parents feel after loss will be forever part of them, but makes them who they are and gives them qualities of strength and compassion that they carry through their lives.